Virginia State Police are manually checking the records of 2,400 defendants found not guilty by reason of insanity to make sure they are barred from buying guns after a man who shot a police officer in the head in 2013 was recently allowed to buy a gun legally. 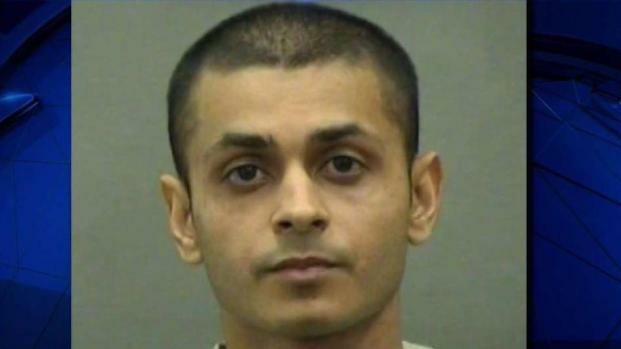 Kashif Bashir, the man who shot Alexandria Officer Peter Laboy, was able to buy a gun because a "human error" was made in adding his name to a list of people barred from buying firearms, police said. Bashir was re-arrested last month after he was found with guns and accused of setting fires, Prince William County officials said. For shooting Laboy, he was found not guilty by reason of insanity. He was released from a mental health facility in 2018. A man who shot a police officer in the head in 2013 was recently able to buy a gun legally. News4's Julie Carey tells why, and what Virginia State Police are doing to try to make sure it doesn't happen again. Gun ownership by an acquitted insane person is a crime in Virginia, and Bashir was supposed to be on the "Do Not Sell" list in the state. But a search warrant shows he got his hands on two guns and two suppressors. State police said an internal review "revealed a human error was made during the approval process by the FTC [Firearms Transaction Center]." Police are double-checking that everyone in their database of people found not guilty by reason of insanity is listed in the FTC. Laboy was on motorcycle patrol in Old Town Alexandria on Feb. 27, 2013, when he tried to pull over Bashir for suspicious activity. Bashir shot Laboy in the head and then led police on a chase. The officer suffered life-changing injuries and was forced to retire from the job he loved.